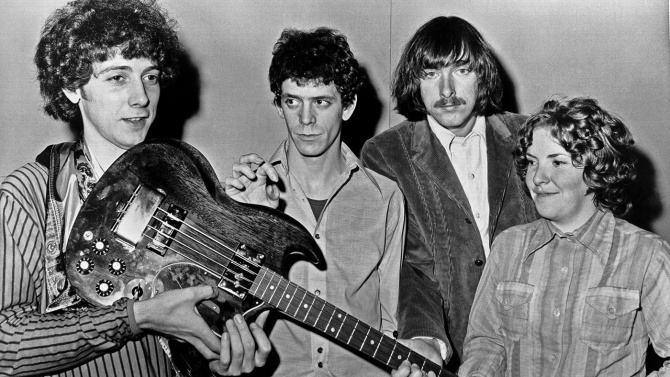 The Velvet Underground will continue to celebrate their 50th anniversary into 2018 with a limited edition vinyl box set that collects four of the iconic rock band’s studio albums along with a reconstruction of their “lost” 1969 LP. The six-album 50th anniversary box set also includes 1967’s The Velvet Underground & Nico, 1968’s White Light/White Heat, 1969’s The Velvet Underground, 1970’s Loaded and Nico’s solo debut Chelsea Girl, which featured contributions from Velvet Underground’s Lou Reed, John Cale and Sterling Morrison. The box set, due out February 23rd and limited to 1,000 copies, also has an exclusive 48-page booklet with vintage photographs and a new foreword penned by Velvet Underground drummer Maureen Tucker. All six albums are pressed onto 180-gram vinyl and presented in stereo. While the tracks on the 1969 LP previously featured on outtakes collections like VU and Another View, the 50th anniversary edition of 1969 marks the first time the album has been “recreated” for vinyl release. The double-LP 1969 is fleshed out with demo recordings from 1968. The box set is available to preorder now. In October, the surviving founding members of Velvet Underground, John Cale and Mo Tucker, reunited to perform “I’m Waiting for the Man” for a Grammy salute.